This year it was the whole family attending the conference and my daughter Alex had an early Oracle start listening to Jonathan Lewis talking about execution plans. 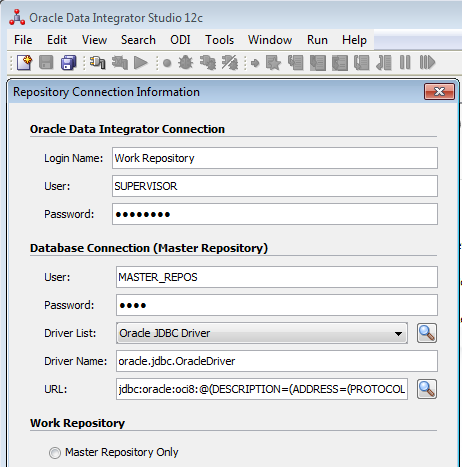 When you connect from ODI Studio 12c to the repository you may get error “no ocijdbc in java.library.path”. In my case I use ODI Studio 12c installed on Windows 7 64bit machine and connecting to ODI 12c linux environment. So why do I get this error? I think I am a little bit late but on the other hand it’s never too late to comment and share opinion about some among the 500+ new features introduced with Oracle Database 12c. This post is about to quickly refer to one of the most common trick you must know when you install ODI 11g on Windows Server 2008 64 bit OS. This is because ODI 11g Studio client tool works only with 32-bit JDK. The workaround is to edit $ODI_HOME\oracledi\client\odi\bin\odi.conf and point SetJavaHome to the 32-bit path.